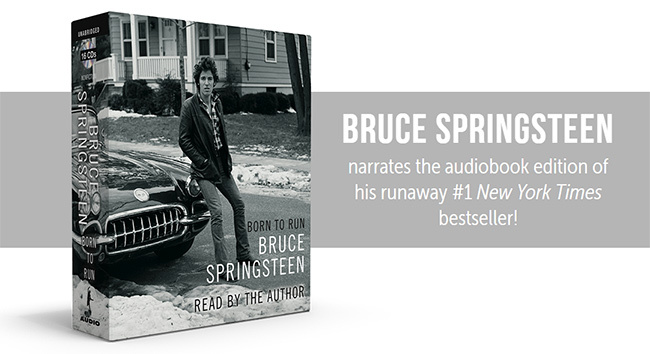 Bruce Springsteen narrates the audiobook edition of his critically acclaimed, #1 New York Times bestselling memoir Born to Run. Simon & Schuster Audio published the 18-hour-long audiobook on December 6, 2016. In addition to his narration, Springsteen recorded musical transitions for the audiobook at Stone Hill Studio in New Jersey. Excerpts from the original studio recordings of "Living Proof," "Long Time Comin’" and "Born to Run" are also featured in the audiobook. Listen to two excepts from the audiobook below and watch Bruce read from Born to Run in London in the short film from Director Thom Zimny. Get your copy now of the audiobook now!